Grid connected solar panels do not require batteries. The energy produced by the solar panels passes through an inverter, to your power board and then back into the energy grid. 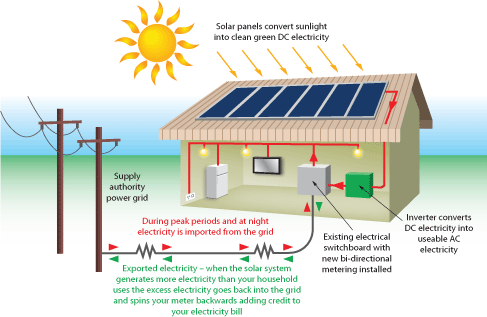 The inverter is often described as the heart of your solar energy production system. Thats why we only recommend and built our systems with high quality european inverters that look and perform better (96% efficiency) than ‘off the rack’ cheaper products. After all, higher efficiency means higher performance (more energy) which over the life expectancy of your system can make a real difference to total energy production! To the left is an example of the inverters that Energy Farm uses in our installations. 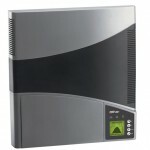 The Aurora is a product from Power One, a leading European manufacturer of inverters. 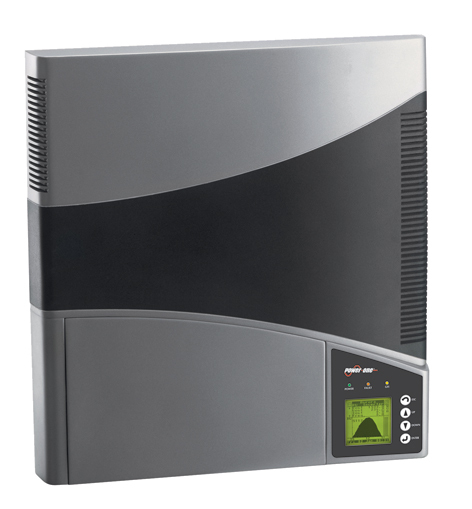 It is currently the slimmest inverter on the market and is whisper quiet in operation, closing down completely when no energy is produced at night. There are cheaper inverters on the market but you have to ask yourself if cheaper is better in the long run? 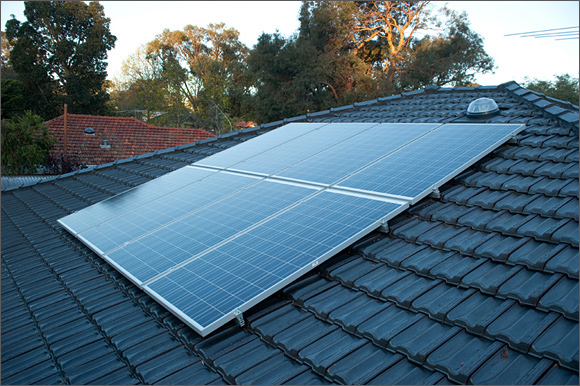 Pictured above is a typical 2kW Energy Farm install. The high wattage panels means more power for minimal visual impact.